The most important choice that you will ever make in therapy is choosing the person with whom you want to work. It’s vital because the success of the therapy depends largely upon whether you and your therapist are able to create a strong working relationship and that is only possible if there is trust, respect and honesty in the relationship. If not, then it can be an uphill struggle. That is why I am inviting you to spend a little time finding out about me and my work so that you can decide whether you think I could be the therapist you are looking for. My aim is to offer a friendly, professional and meaningful service. I draw upon many years of experience and comprehensive professional training. Please see below for detailed information regarding my training and qualifications. I provide short and longer-term therapy for a wide range of issues, to help clients live more completely. I sincerely believe talking things through and exploring your issues can help. 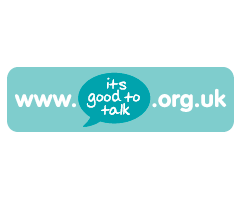 I can offer you a secure, accepting and non-judgement environment, in which you can express any issues or concerns you may have, past or present. Sometimes by exploring painful and difficult experiences, we can begin to make sense of what has happened, and come to understand the affect it may be having upon us and our well-being. Very often we find it difficult to express intense feelings, such as anger, embarrassment, grief, guilt and hate to our friends and family. I can offer you space and time to express and explore such feelings, in a safe supportive place. My approach is not about giving advice or taking away your autonomy; it is about helping you to understand yourself and your situation, whilst providing the tools to enable you to build up your self-esteem, and empowering you to be able to make choices and decisions that are right for you as an individual. It is about offering support and understanding to enable you to deal with life changes or simply coming to terms with life events. I trained at the University of Derby and gained a BSc (Hons) Psychology and Literature degree. I have graduated with a Merit in my M.A. in Counselling Studies from the Chester University. I also, hold a diploma in theory and practice of Counselling, an Advanced diploma in Clinical Hypnotherapy and a Post Graduate Certificate in Counselling Supervision, which is for Senior Practitioners, and means that you supervise the work of other therapist. I am currently studying for my Professional Doctorate Counselling and Psychotherapy Studies at Chester University. I am Accredited with EMDR UK and Ireland as an EMDR practitioner – trained to work with children from nursery age through to adults. I offer consultation for other EMDR therapists working with all age groups. My training meant I worked in various counselling and hypnotherapy agencies before I sent up private practice. I learnt my craft with Cruse Bereavement Care in Shropshire and Wellness Centre in Wrexham. What else… oh yes …. 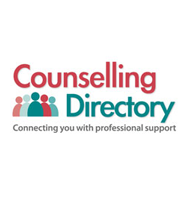 I am listed on www.thelongboathome.co.uk which is a national network of therapists who offer reduced cost work to ex-services personal and their families. We are now linked with ‘Help for Heroes’ and ‘Walking with the Wounded’. 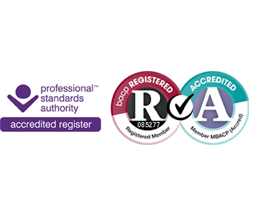 I am an accredited member of the British Association for Counselling and Psychotherapy (BACP). As such I am bound by their ethical framework and subject to their Professional Conduct Procedures. I am a graduate member of the British Psychological Society. I am registered with the Information Commissioners Office (ICO) which manages the Data Protection Act. I hold Enhanced Disclosure Certification from the Criminal Records Bureau. I hold Professional Indemnity Cover in line with BACP Professional Codes of Conduct. 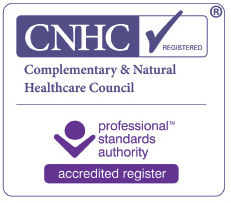 My hypnotherapy work is bound by the ethical framework of the National Council for Hypnotherapy and their Professional Conduct Procedures. My work is regularly supervised and I maintain a diverse and on-going programme of professional development to ensure I have a full understanding of current industry practice. Intergenerational Trauma - An Attachment Based EMDR Program to Work with Children and their Parents. Swinden, Colleen. (2018). The Child-Centered EMDR Approach: A Case Study Investigating a Young Girl’s Treatment for Sexual Abuse. Journal of EMDR Practice and Research. 12. 282-296. 10.1891/1933-3196.12.4.282. If you'd like to talk to me about what EMDR therapy counselling might mean for you, fill out the contact form below. All calls and messages will be treated in confidence.